Uvulas are strange. Why do humans have them? X is not a good letter to start a reply to your question. This is a Vuvuzela. Zombies can be killed by playing a vuvuzela. Besides that, it's also really, really, REALLY annoying. 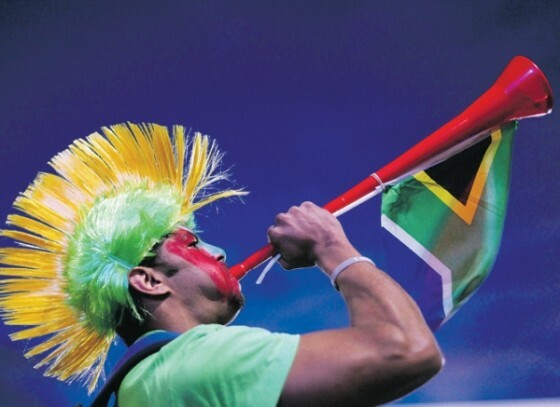 Can a vuvuzela drive someone crazy? Doubt anyone has ever tested that. Egad! No one? We should test it right now! c'mon! let's get the experimentation started! *howls* those things are scaaaaaaryyyyyy! I insist! it won't be that bad! besides, what could possibly go wrong? Just look at that ignorance! *turns to face Crux* Didn't you know that after THAT phrase EVERYTHING goes wrong?! Keeping a lucky charm always wards off bad stuff from happening! see? I've got this, uh... *picks up random clover* four leaf clover for good luck! Man, don't be hatin' on the lucky charm, nothing bad has happened so far, right? Oh, c'mon now, don't be sad about it. Think about it, you'll be the first to experience a scientific breakthrough on vuvuzelas! Pardon me, but who actually wants to know about vuvuselas' effect on unstable human canine mind? Questions, questions! We'll all find answers to all of them some day! Unveiled the level 2 vuvzela! two times the power! Last edited by VEB152 on Sun Jan 12, 2014 10:52 am, edited 1 time in total. Oh well, everybody take five! X-Pect it to be "X"! Yeah! ahaha! and you're back! we can finally continu-oh, where'd all the vuvuzelas go? Zalaegerszeg, Hungary. I asked for them aaaaaaall to be sent there. It was actually the first thing that came to my mind. Sorry, Zurich. All that hard work! gone! Don't know yet, but hope so. Last edited by VEB152 on Sun Jan 12, 2014 1:07 pm, edited 1 time in total. Everything looks pretty much okay here. Good! The vuvuzelas are back!